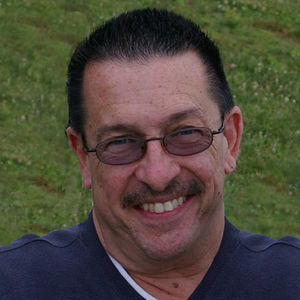 Raymond W. Fortin, 56, of Ellington, loving companion and soul mate of Terri Cocuzzo, passed from this life peacefully on Friday, April 28, 2006. Born in Hartford, son of the late William and Anna (Gaudette) Fortin, he grew up in East Hartford, and lived in Vernon and Waterbury before moving to Ellington three years ago. Raymond was a licensed optician for over 35 years, and was currently employed by Lenscrafters for the past thirteen years and was presently a General Manager. He was a communicant of St. Luke Church in Ellington. Raymond played basketball three times a week at the Hartford YMCA, where he developed many close friendships. He was an avid Yankee Fan, enjoyed playing golf, and was an honorary member of the South Windsor Lions Club. Besides his soul mate Terri, Raymond is survived by his daughter, Marissa Fortin of Vernon; a brother, Francis P. Fortin of Bristol; two sisters, Annette Luko and her husband Stephen of Terryville, and Dorothy Thibault of East Hartford; two nephews, Nicholas and Stephen Luko of Terryville; a niece, Christine Thibault of East Hartford; two little buddies, Aidan and Ava, and a very special friend, Nancy Ouellette of South Windsor. Besides his parents, Raymond was predeceased by his sister, Jacqueline Fortin. Family and friends may gather Monday, May 1, 2006, 11 AM at the Samsel & Carmon Funeral Home, 419 Buckland Road, South Windsor, followed by a Mass of Christian Burial, 12 noon, at St. Luke Church, Ellington. Burial will follow in St. Mary Cemetery, East Hartford. His family will receive friends at the funeral home on Sunday, April 30, from 1 to 4 PM and 6 to 8 PM. Memorial contributions in his memory may be made to the American Cancer Society, P. O. Box 1004, Meriden, CT 06450.